Of all the Easter crafts ideas for kids that we enjoy every year, this recipe for an edible craft is the one that is my favorite. 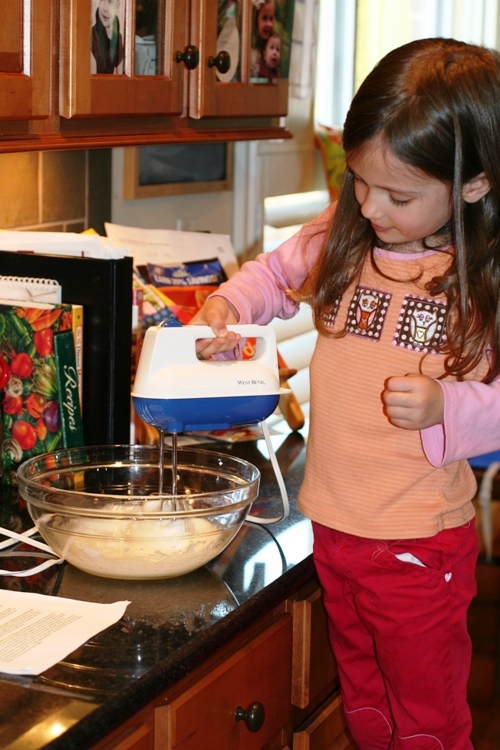 My daughter and I made this very special Easter recipe last year and it is a MUST! Not only did she thoroughly enjoy it, but every time she sees vinegar, she tells me that it is what they gave Jesus to drink when he was on the Cross. The memories it creates for me as a parent are absolutely priceless–I know that. But the visual memory markers it creates in her mind, keeping her focused on the Cross at a such a young age, well, that has a value all its own. Bradford and I had such a good time going through the recipe and explaining to her the symbolism in each ingredient. I hope you enjoy it as much as we did. *If you like this article, be sure to sign up for my Faith & Family newsletter HERE. Check out my step-by-step guide below on how to use the Empty Tomb Cookies to teach your young ones about the Resurrection. Download a printable version. This is a PDF that you can print off and keep, or share with friends. We broke a spoon, be careful! Activity: Put pecans in a Ziploc bag and let children beat them with a wooden spoon, to break them into small pieces. Discussion: After Jesus was arrested, He was beaten by the Roman soldiers. 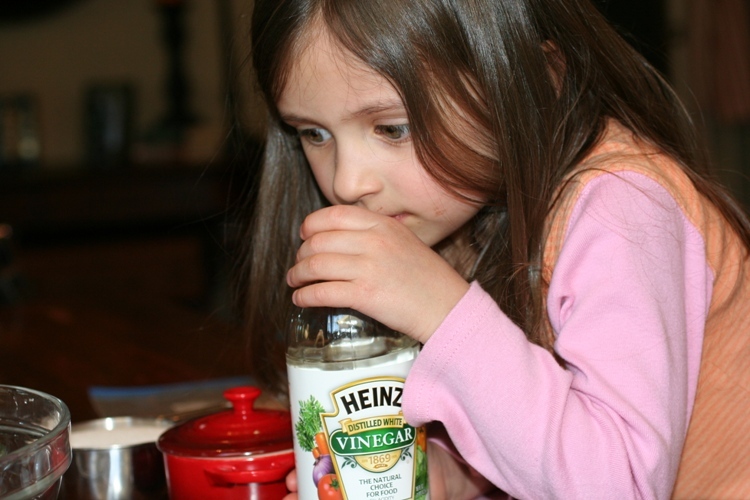 Activity: Let children smell vinegar. 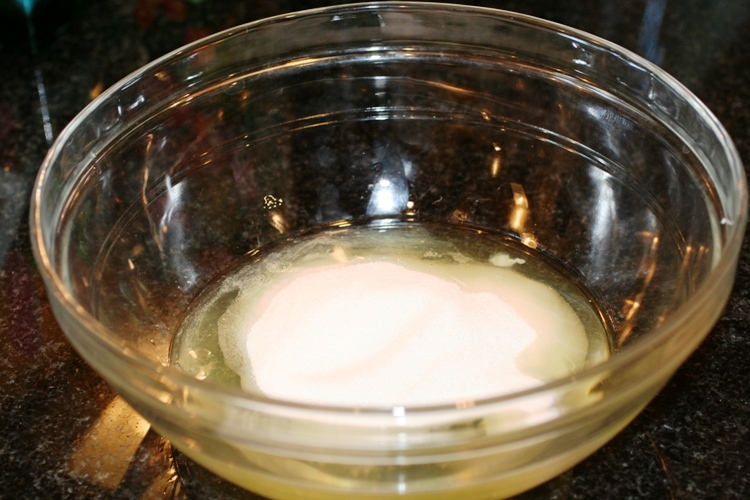 Add a teaspoon of vinegar to a mixing bowl. Discussion: When Jesus was thirsty on the cross, he was given vinegar to drink. This is what her face looked like after she smelled it! 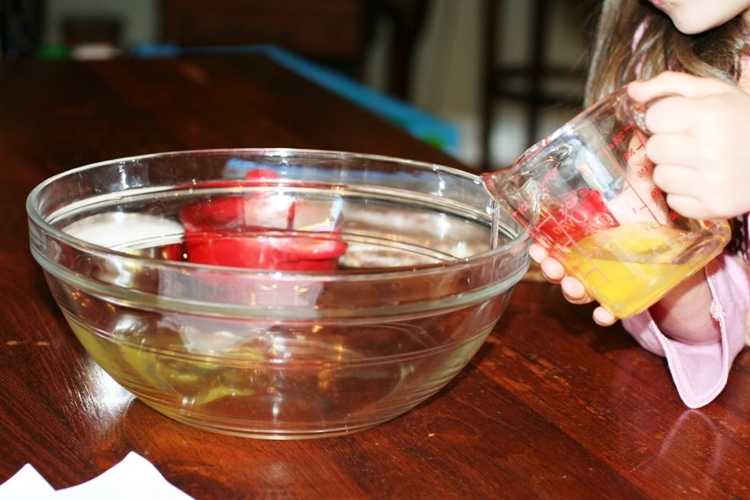 Activity: Add egg whites to vinegar. Discussion: Eggs represent life. Jesus gave His life to give us life. 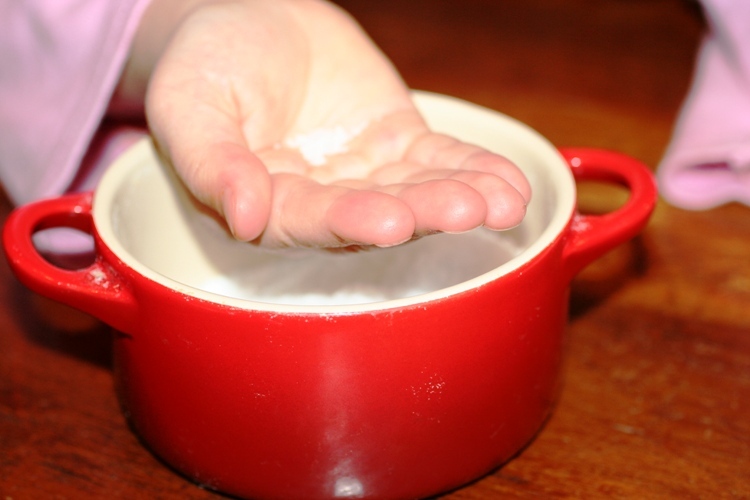 Activity: Sprinkle a little salt into each child’s hand. Let them taste it and brush the rest into the bowl with the egg and vinegar. Discussion: This represents the salty tears shed by Jesus’ followers, and the bitterness of our own sins. Activity: Add one cup of sugar. Discussion: The sweetest part of the story is that Jesus died because He loves us. He wants us to know and belong to Him. 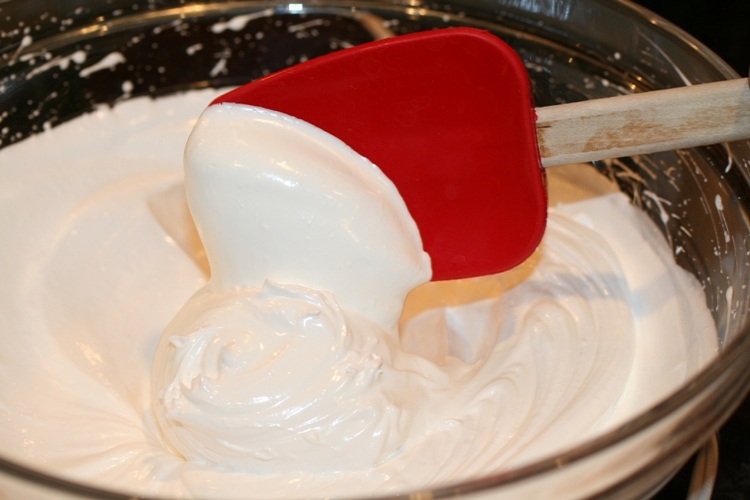 Activity: Beat with a mixer on high speed for 12-15 minutes or until stiff peaks are formed. Discussion: The color white represents the purity in God’s eyes of those whose sins have been cleansed by Jesus. Activity: Fold in broken nuts. Line cookie sheet with waxed paper. Drop mixture by spoonfuls onto waxed paper. Discussion: Each mound represents the rocky tomb where Jesus’ body was laid. 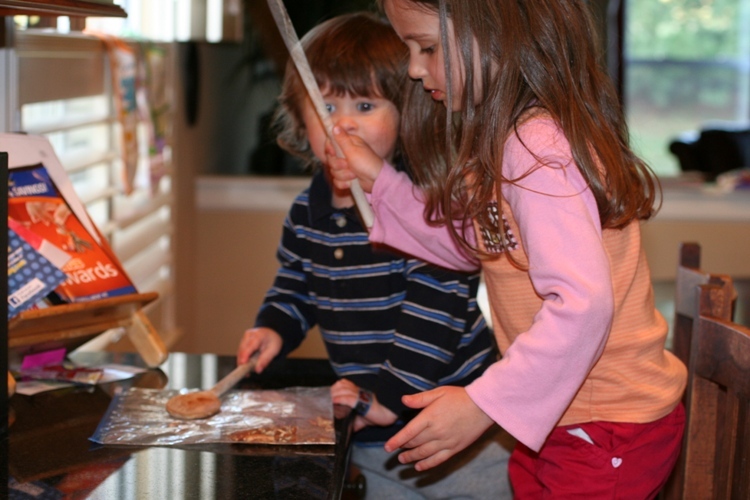 Activity: Place the cookie sheet in the oven, close the door and turn the oven OFF. 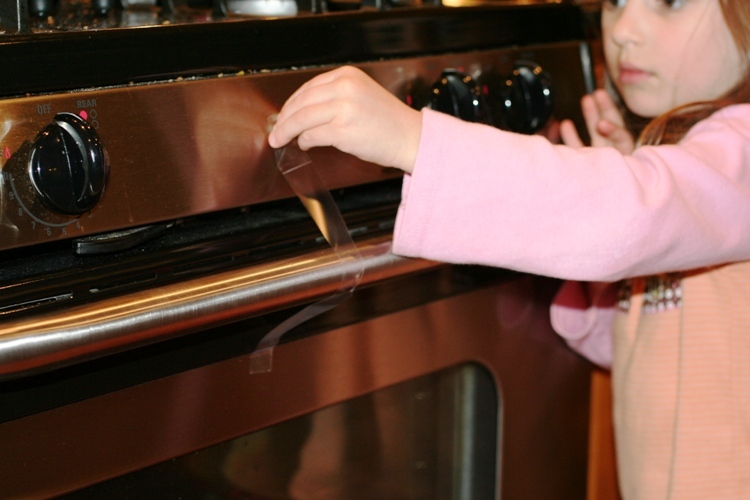 Give each child a piece of tape and seal the oven door. Discussion: Jesus’ tomb was sealed. Discussion: You may feel sad that we had to leave the cookies in the oven overnight. Jesus’ followers were sad when the tomb was sealed. On Easter morning, open the oven and remove the cookies. Take a bite. Notice…the inside of the cookies are hollow! On the first Easter Jesus’ followers were amazed to find the tomb open and empty. What special traditions do you use to teach your children about the Resurrection? I would love to hear your ideas! Find more Easter Crafts Ideas for Kids on Faithful Provisions. Wow. I must say I got teary eyed reading this. What an amazing way to share the sweet story of our Savior’s love! Thank you for sharing! We will definitely make this a family tradition! Wonderful hands-on activity for kids of all ages! It’s sure to be one of those traditions that are looked forward to from one year to the next. We are going out of town this weekend, but we will do this Thursday night! Thank you for sharing this! What a wonderful idea! Thank you for sharing. I’m going to make these with my daughter this week. Wow that was quite moving and pretty easy for a child to understand. I wish there was a version that I could do with my preschool class but we don’t have access to an oven. Could you use a toaster oven? You may have to get special permission, but it “might” work. Is there any alternative to nuts for people with allergies? How do they taste without nuts? Do they still turn out without nuts? What about chocolate chips or something? I have used chocolate chips and they turned out fine, we are a nut free family. Thank you For sharing this. Now I know what we are going to do Saturday night while Daddy is at work. I did print a copy to offer to my student’s parents. I will also let them where I found it. Thanks again! That is so neat! I have never seen it before. how neat. can’t wait to try this with ava. Since no one but me will eat nuts, i think i can substitute choc chips, can’t I? This recipe sounds just like a nighty nite cookie recipe my mom always made with both pecans and choc chips. I think you could probably substitute for chocolate chips, that would make it even better! 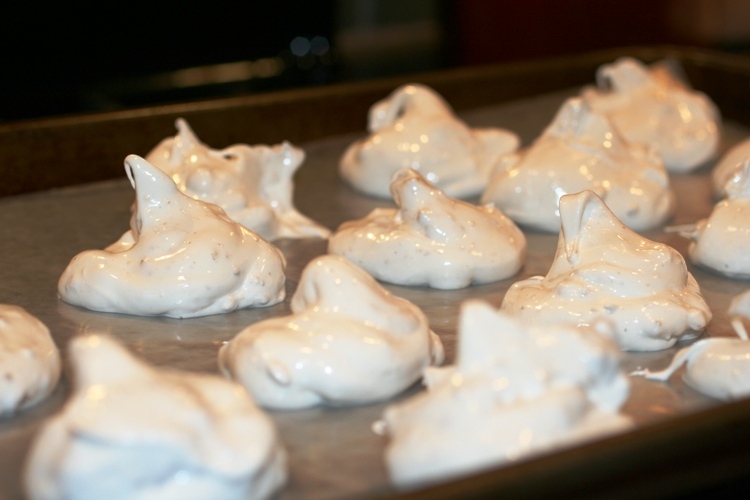 They are kind of like meringue cookies, and they are SOOO good! I loved this and also have nut allergies……I was trying to think of something to “crush” but I guess the chips would be yummy? We also have nut allergies in our home and I think I am going to try pretzels instead of pecans. Then the kids will still get to break up the pretzels. Can’t wait to share this with our 3 kids. 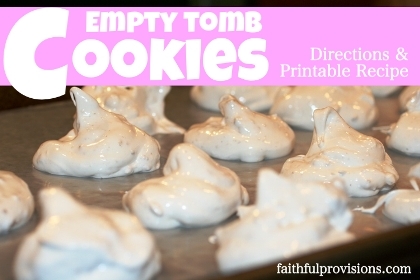 We’ve made “resurrection rolls” before, but have not heard of these empty tomb cookies. Thanks so much for sharing! Could you tell me what “Resurrection Rolls” are? P.S. The pretzel idea like a sounds great substitute. Here is the recipe and explanation of Resurrection rolls. My kids are 10, 7, and 5 and have loved making these each Easter for several years. Have a blessed Resurrection Day!!! 1. Open can of crescent rolls and separate into triangles. The rolls represent the linen wrapping used in covering the dead. 2. Dip and roll one marshmallow (representing Jesus’ body) into melted butter The butter represents the oils used in anointing the dead body. 3. Roll the marshmallow in the sugar/cinnamon mixture. The mixture represents the spices used in burials. 4. Place the marshmallow in the center of the crescent triangle. Fold and pinch the edges tight. 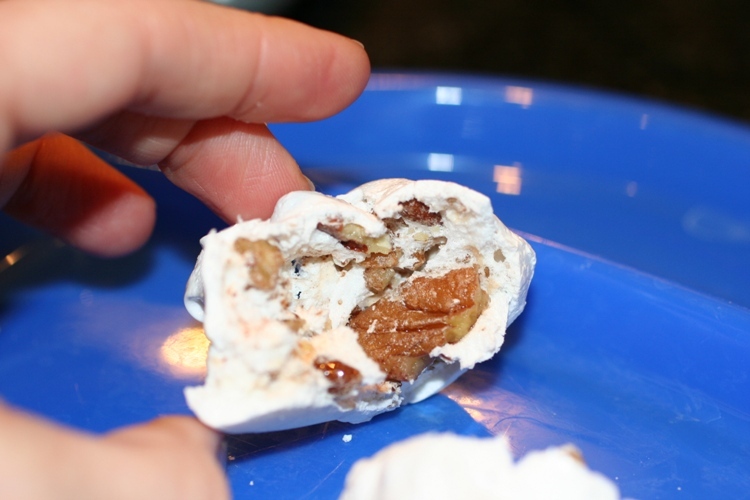 Put each crescent-wrapped marshmallow on a slightly greased cookie sheet. 5. Bake the rolls as directed on he package. The oven represents the tomb. When cooked, the marshmallow melts leaving only the puffed crescent roll. This demonstrates how Jesus rose from the dead. All that remained in the tomb were the linen wrappings. These are surprisingly tasty. ENJOY!!! Jesus loves you! I wanted to thank you for sharing the recipe as well. We had a good time making the cookies Saturday night. 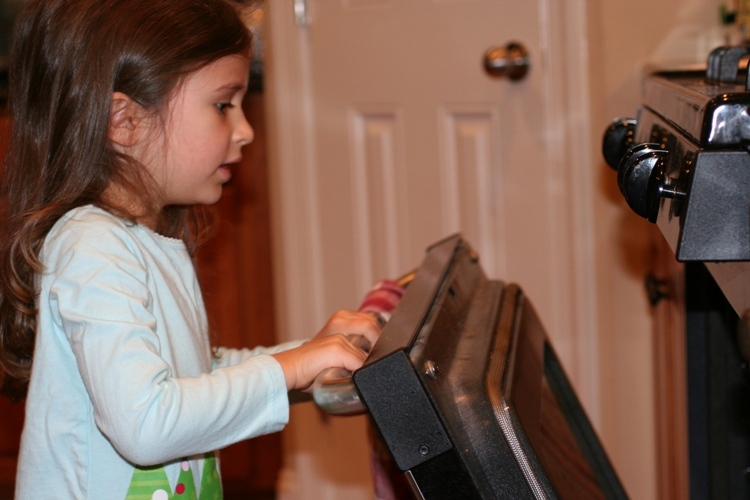 My 6 year old was the most interested in helping me and we had a wonderful conversations. My husband and I started questioning my six year old about sin and if he understood what sin was and he did. Luke decided on 4/3/10 at 10:00pm to ask Jesus to forgive him of his sins and give him a clean heart. Thank you for sharing with us. How wonderful! Thank you for sharing that Lori! Keep teaching him about Jesus. Especially about the assurance that nothing can ever separate us from Jesus once we believe. That we are sealed by the power of the Holy Spirit and we have become children off God! My children are in their teens and we have enjoyed these Tomb Cookies and the Resurrection Rolls for year, both are an Easter tradition at our house and they are both very yummy and can teach the real reason of Easter is more than the Easter Bunny. I absolutely love this and will definitely do it with my kids this year. Oh, and how long do you actually leave the oven on? You leave it on at least til it is to the temperature that the recipe says and don’t turn it off until you actually have the merengue ready to go in. Also, don’t make them more than about a tablespoon or so in size. They may fall and not be “empty” inside, they may not be done, as well if they are too big. This is a great idea! Is there an alternative for nut allergies? I love all your fun cookies, but they always seem to include nuts. Do you have any options for families with nut allergies?? We use candy canes (or peppermint candies). They make the cookies delicious, and the kids still get to beat candies with a spoon. That was really a great way to explain the Easter story. I’ve made copies for famalies at church. Thank you so much. I stumbled upon you a week ago. I’ve just now added you to my outlook rss feed. Thanks again. I think this will become tradition around our house every year! I love it! Couldn’t find my wooden spoon so we used a heavier Tupperware ice cream scoop (back, rounded side) and it worked great! We didn’t have to beat too much with that thing! Do you know if I make these in advance with my son and then I put them in the oven after it was preheated later on (hours later) if they will still work? I so want to do this special activity with him tomorrow, but we have plans to go out for dinner and I want to know if we can do the cookies beforehand in the AM and then I can put them in the oven later on that evening? Amy – I am not sure, I have not tried, but I would think not. They would think they would loose their “fluff” from beating the egg whites if you refrigerated them before cooking. But, it is worth a try! Anyone know? Amy – I just had another idea! Just make them, put them in the oven, let it sit all day (as if you would overnight). Then if you need your oven for dinner, just remove the cookies BEFORE bed (maybe hide them from kids), then just place back in the oven before you go to bed and let them see it in the morning. It will work just the same. HOpe that helps! Thanks for the wonderful idea. Wow Thank you so much.. We dont exactly celebrate Easter. We still let our kids do easter eggs and hunt but i couldnt find a fun way to show them what Holy week was all about. We dont exactly do passover but i am trying to find some fun ways to expalin that as well. This is GREAT! now i have something beautiful and yummy to share with my kids! THANK YOU SO MUCH! You sharing with us is such a blessing! April – So glad you enjoyed it! Oh, Heather, I love this idea, might have to do this one next year. what a great recipe! Glad I found this blog. I am hoping to start a young child mom and me church group next year and this site is perfect for ideas. I make a similar cookie at Christmas but they don’t use vinegar & they do use vanilla & chocolate chips. They are amazingly good. If I can come up with something the chocolate represents, I will have to try this with my daughter. 🙂 Thanks! These sound yummy!! We did Resurrection cookies last year, but have since discovered several food allergies – including wheat (which knocks out the ability to use biscuits like we did last year) and egg whites which knocks this one out 🙁 I love how each ingredient has a special meaning behind it!! 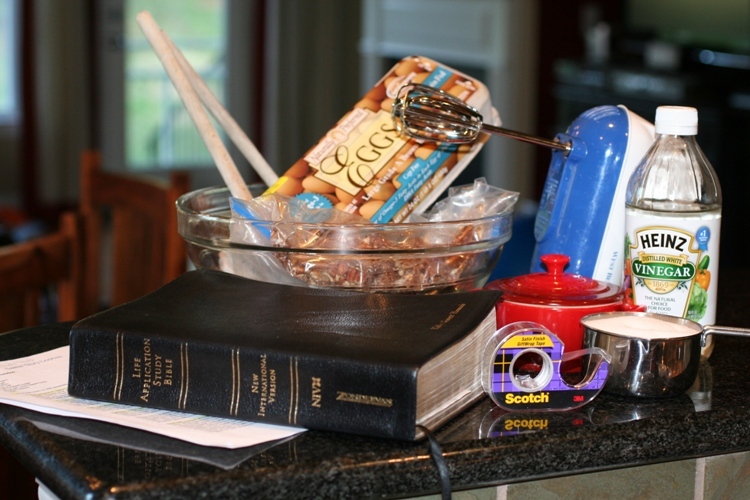 I’d like to try this recipe in Sunday School class. Does anyone know about how many cookies this recipe makes? Can’t find the yield on any website. Not sure if I might need to double the recipe. Thanks! My grandmother taught me to make these (without the resurrection story). She called them Forgotten Cookies. 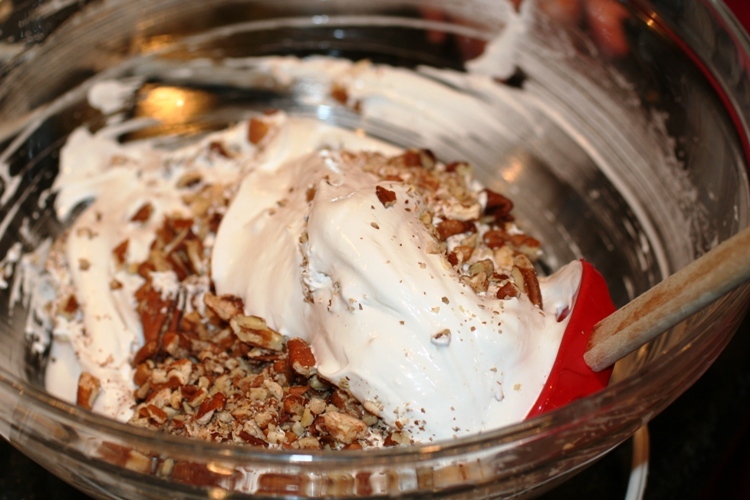 But Grandmother would divide the meringue into parts and stir in choc chips, butterscotch chips, nuts and crushed candy canes into each of the different parts – for a lovely variety in each batch. Thank you for reminding me of the recipe. Meringue doesn’t keep uncooked. It will fall flat after an hour or so. Whatever size batch you make needs to ALL fit into whatever oven you use in ONE go. 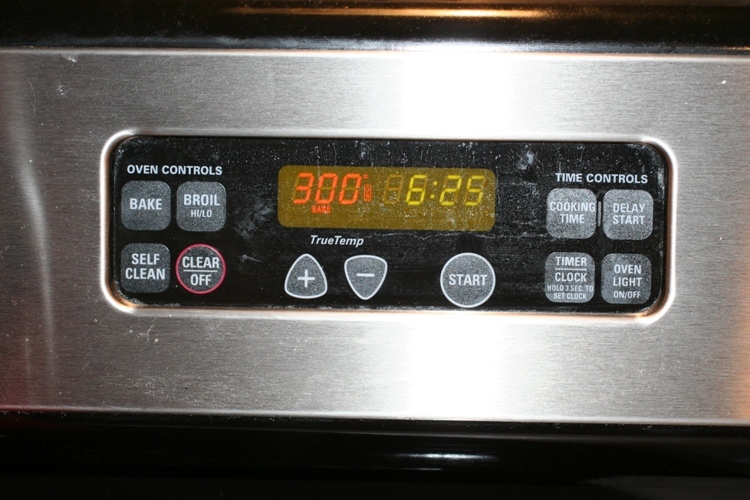 It is also important not to open the oven at all (not a single crack) for the entire minimum 8 hour period. I want to explain and act out the preparation of the cookies to my Sunday school class If I was to make the cookies at home for them to actually eat and take them to church, will it still be hollow in the inside? Yes, the goal is that they will be hollow after you open the oven in the morning. So then just transport them to church and pull them out at the last step. Great idea!! What a great idea! Except for the nuts 🙁 I have two who are highly allergic to nuts in my house. I will have to try with something else…. m&m’s maybe, or even raisins ?? Pretzels or chocolate chips work great!! Bad news, my cookies didnt come out empty in the middle, but the kids LOVED them, could someone tell me what I could have done wrong, I am not a baker and followed the instructions, however I did triple the receipe, should I have only made one batch at at time? Thanks for the advice. Hi Kelly. 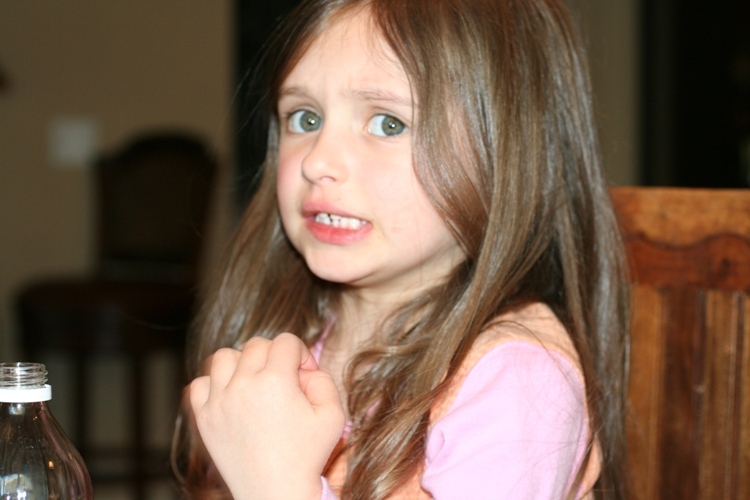 I really enjoyed this post – especially the pics (your daughter’s expression with the vinegar was precious. Bet she got the point!) and narrative. I did this Saturday with my husband and son (8 years old) and we all enjoyed it but my son LOVED it. It helped to get him up (so early) for sunrise service to remind him he had to unseal the “tomb”!